I'm a great admirer of Petula Clark's talents as a songwriter. Her wide range and depth of inspiration comes from many sources, not least the inner soul. I think her head is always full of ideas for songs. Believe me, if there's a piano in an empty room or a concert hall during the crew/orchestra break she'll be on it working on a new song. I wrote both music and lyrics in my early years (which included Petula's first international successes) but always considered it a great honour if she asked me to write a lyric to one of her fine melodies. 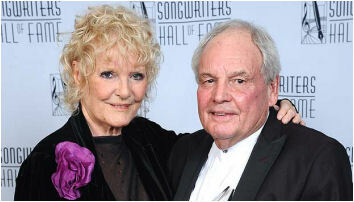 Writing a song with Petula, however, is quite different to writing a song for her. My words were often English lyrics to a French song, so whilst not being a translation of the French lyric, the challenge was to match the mood and message of the original, frequently an emotional ballad in the soft, romantic language of France. Up-tempo songs like 'Las Vegas' proved to be far less of a challenge whilst 'You're The One' actually started life as a British song, a true Clark / Hatch collaboration. Frequently we recorded the French and English versions of one or more of her songs in London on the same recording session. I loved those sessions. Rushing between studio and control room they were the fun I've ever had. I also travelled to Paris to conduct my arrangements of music Petula had written for a French film in which she also starred. This was 'A Couteaux Tires'. We spent several hours together at her home in Paris where she played her compositions to me and we fitted sections to the timings provided by the film company. Back in England I then orchestrated everything ready for the trip to Paris. Working in a French studio with French musicians certainly tested my command of the local language but it was a great experience conducting Petula's excellent music and this leads me to wonder how many other talents in a single project should one person be allowed? A final thought. 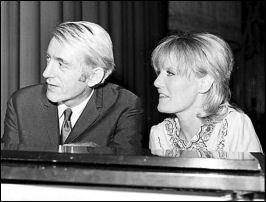 Petula plays piano pretty well but always writes in the 'darker' keys of Gb and Db, so favoured by Chopin, Debussy and Italian opera composers. As a pianist I've never liked these keys, so, once I had learned her melodies, I would play them for her is something more 'user friendly'. Trivial? 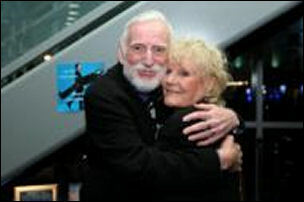 Perhaps, but for me it's another warm memory from many happy years of working with a very special lady. Even when someone is an iconic celebrity, we each have our own unique perception of them. 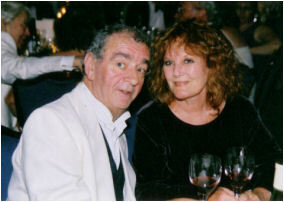 Petula Clark is an internationally famous successful and gifted signer and actress; fewer know her as a writer. For me, this is the aspect of her I know best, and so I have my own special 'map' of the 'world' that is Petula! We have been friends and co-writers for many years, and to me she is that increasingly rare phenomenon in the music business - a composer who is a supreme melodist who also honours lyrics! She has highly developed auditory and kinesthetic senses; sounds and feelings are really important to her, and this permeates everything she writes. Her modesty about her writing ability probably makes her one of the most underrated popular composers. Not only do I rate her music highly - she is a joy to work and be with! 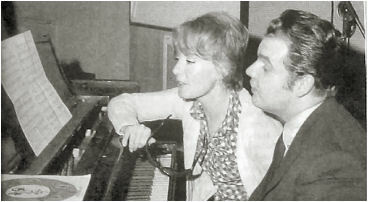 Long before Petula perused the sheet music to any of my songs I had begun to sing and record hers. Petula Clark the songwriter? Oh yes, and one I admire enormously as a poet of words and music in pretty much every style for all times and seasons. At one point in her long and diverse career, the muse banging at her door inspiring songs was so insistent she began using a pseudonym, Al Grant, on half of her songwriting output. Over the years, Petula's fans and admirers have been rewarded with original songs by the singer-songwriter on nearly every new album. In addition to her writing partnership with Tony Hatch, that produced such chart songs as You're The One, Where Did We Go Wrong and Just Say Goodbye, she has written with Jackie Trent, Norman Newell, Dee Shipman, Michel Colombier, Pierre Delanoe and David Hadzis. While I admire all of Petula's 'partnered' songs (Where Did We Go Wrong and she and Jackie Trent's lovely Every Time I See A Rainbow are particular favourites), I am most affected by the songs where she is the sole architect. Things Bright And Beautiful, Some, The Song Went Wrong, I've Got Love Going For Me and, of course, the autobiographical Two Rivers come immediately to mind. The songs Petula writes are every bit as immediate and individual as her vocal instrument. From the liner notes of Solitude and Sunshine issued in 2007 by Stanyan House. 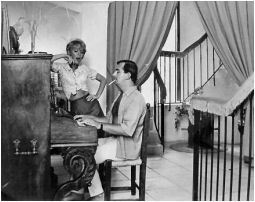 Petula writes amazing melodies for which I acted as the builder to her architect. Her songs are fresh, unique and original. Petula is a professional. She's a composer, performer, and a serious person. When she sits at her piano, sings a little, it sort of paralysises you with admiration. You can't resist it.